As I wrote earlier this week, I’m currently on my first trip to Australia and I’ve been having an amazing time. I flew down in United GlobalFirst, and though I am currently on Hamilton Island on the Great Barrier Reef, my first stop was Melbourne. TPG Managing Editor Eric and I spent my first afternoon checking out the cool shops and cafes of the city’s famous alleys before a delicious dinner at Gingerboy, a trendy Asian-fusion restaurant (restaurant roundup to come!) in a city known for its food scene. The following day, we headed out to the nearby Yarra Valley for some wine-tasting fun, a great lunch, and lots of interesting characters. Here’s what we got up to. We booked a premium tour with Australian Wine Tour Company. A couple weeks before we went, Eric contacted Australian Wine Tour Company, a private touring company started in 1998 and based in Melbourne that arranges day trips out to the Yarra Valley for groups ranging from two people up to dozens. The company has everything from private cars to luxury buses and though the bigger tours tend to follow set itineraries to the big guys like Chandon and De Bortoli, because there were just two of us and it was going to be a busy weekend in the valley (it was the Grape Grazing festival), we were able to hand-tailor an itinerary just for us and pop into a few quieter places off the beaten path. Private tours with AWTC can be quite pricey, especially just for two people. But we thought it was worth the expense because we would earn 2.14X points per $1 by using my Sapphire Preferred since they’re a travel/tour operator (and this is also a good way to use your Barclaycard Arrival Plus World Elite Mastercard miles since it’s a travel purchase and you can put your points to use on expenses that you wouldn’t otherwise be able to use miles/points for), and that it would save us the time and trouble of renting a car, driving ourselves (on the wrong left side of the road) and not being able to actually drink the wine during our day out there. Instead, our driver Nick (more on him in a moment) would pick us each up at our hotels around 10 and then drop us back off around 4 with as many tastings as we wanted to fit in plus lunch for an hour in town of Healesville. Our first stop: Kellybrook Winery. Nick picked us up promptly at the specified time in a minivan just for us, and was quite the character. 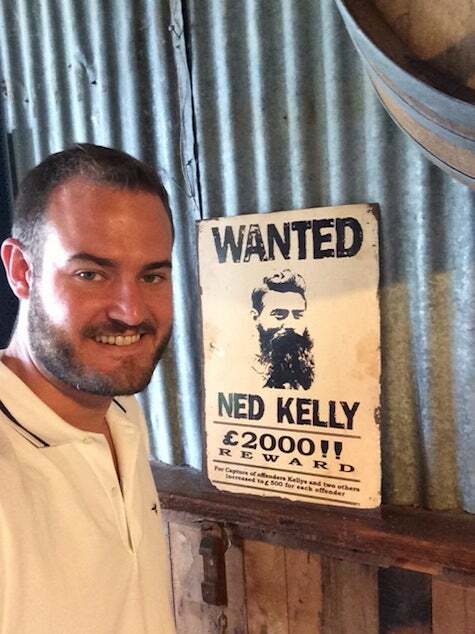 It seemed like he knew everyone and everything in the Yarra Valley, and was a bit of a joker, though he knew the background and history of all the wineries we asked about (with a few colorful anecdotes thrown in). What we also appreciated was that we could just chat with him at the beginning about what we were looking to get out of the day – smaller wineries, off the beaten path, interesting wines – and he pulled together a few options on the spot. The Yarra Valley is just a 45-minute drive northwest from town, which is why it’s such an ideal day-trip from Melbourne. It also produces some of Australia’s best-known and most sought-after wines and you’ll be more likely to find cold-climate varietals like Chardonnay and Pinot Noir than the grape that has become synonymous with Australian wine, Shiraz, so it’s a nice change of pace…or palate, if you like. Getting the tasting set up at Kellybrook. 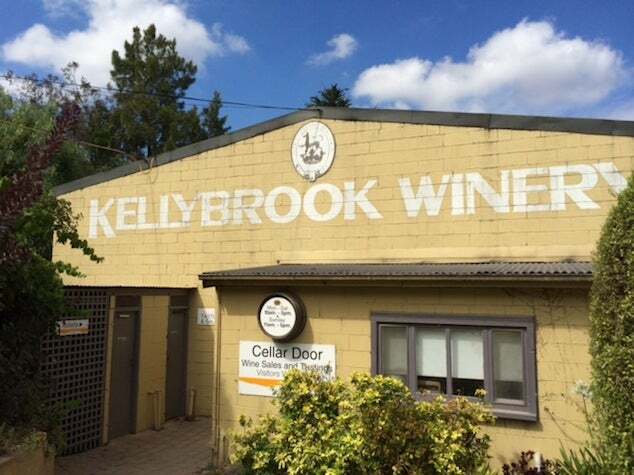 Our first stop was on the western side of the region at a winery called Kellybrook, where the winemaker is the former winemaker of one of the region’s most famous wineries, Mount Mary. It was a cute little spot with a cozy tasting room. We started with their sparkling wine, which was light but a little creamy for my taste, and then tasted through the range of whites including a nice and acidic Chardonnay and a really interesting Gewurtztraminer with floral and spicy notes. Among the reds we tried were a nice Pinot Noir with ripe black cherry notes, and a more robust Cabernet-Merlot blend. Our tasting was pretty quick because right in the middle of it, a huge hen (bachelorette) party arrived and pretty much overran the tasting room, but that was still fun. Distant relative? I see the resemblance – at Yering Farm Wines. Our next visit was to a charming little place called Yering Farm, where the winemakers wife was actually the one behind the counter pouring our tastes. 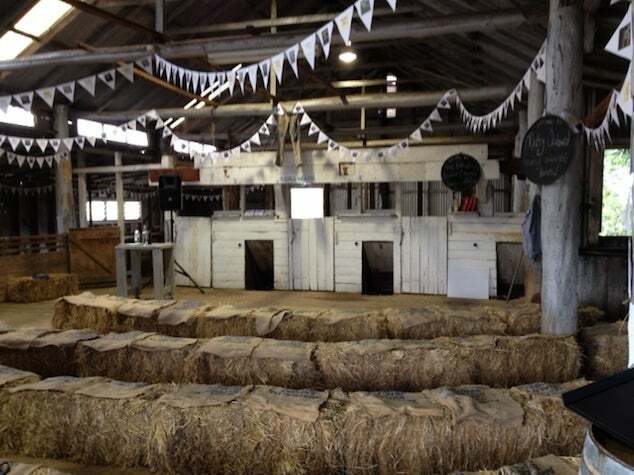 The tasting room is in an old barn shed, which makes it atmospheric and fun, and the wines were great. They have an entry level Farm Series, then their Premium and Reserve lines with whites and reds in each, and a rosé thrown in for fun. I liked the wines so much that I even ordered a mixed case of the 2006 Winemakers Selection Chardonnay and the 2004 Winemakers Selection Pinot Noir, which was rich and complex, but also going to age beautifully, I think. Because of the high taxes in Australia, it was actually cheaper to buy a case and ship it to the US than to buy a case for consumption within Australia! Loved lunch at Innocent Bystander/Giant Steps. 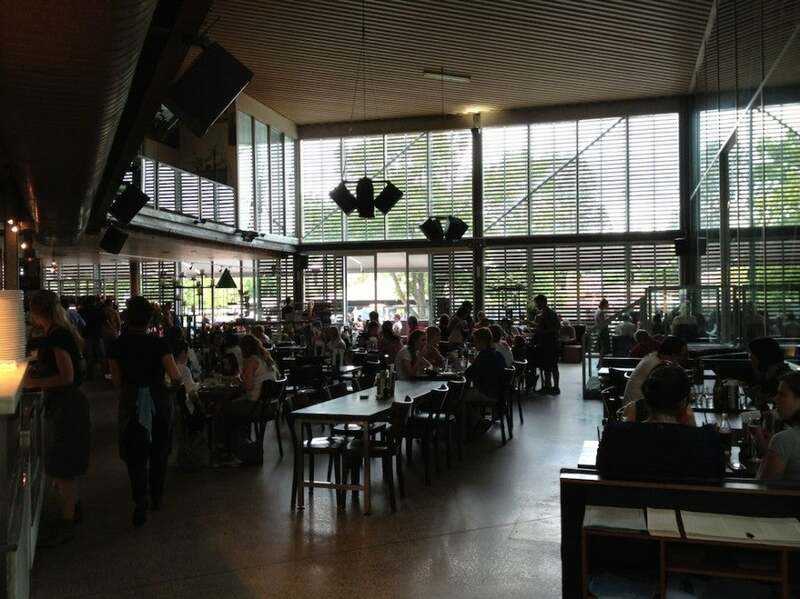 After that, it was just about time for lunch, so we headed into the little hamlet of Healesville, about a 10-minute drive away, to fuel up at this bustling winery/gourmet food shop/gastropub called Innocent Bystander/Giant Steps. They have counters there for cheese, pastry, coffee and other little artisanal goodies, and there’s also a wine-tasting counter up front where you can taste the two lines of wine. Innocent Bystander is more of a casual drinking line of wines while Giant Steps is the premium vineyard-specific brand. We were a little wined out for the moment, so Eric just had a glass of the Innocent Bystander Pinot Gris while I had a Little Creatures IPA from Western Australia with lunch. My Tasmanian oysters were briny and delicious. 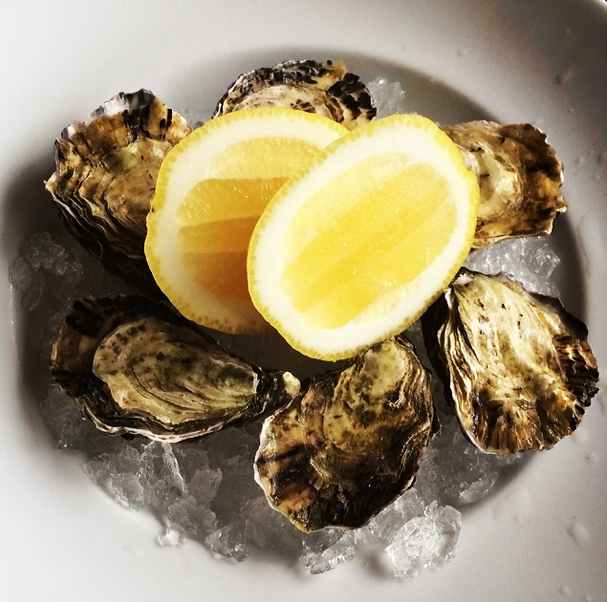 I started my meal out with a half-dozen Tasmanian oysters, which were small, briny and delicious, while Eric ordered a Persian spinach borani yogurt dip with honey and dried currants served with homemade flatbread. 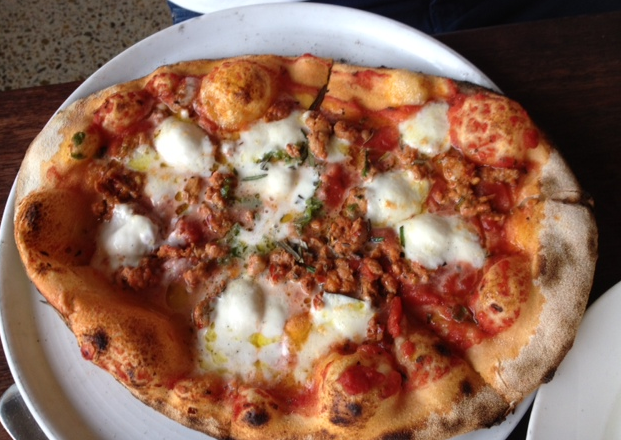 The restaurant is known for its handmade wood-fired pizzas, so I ordered one with spicy pork sausage, buffalo mozzarella, San Marzano tomato sauce and chilis, which was absolutely delicious. Eric went with the tender, roasted free-range spatchcock chicken with ricotta-pinenut stuffing and sautéed silverbeat. We were both stuffed, though we did consider a quick visit to the next-door White Rabbit brewery for a quick beer tasting. Nick picked us up and took us into town because several small wine producers were holding an ad hoc tasting for the festival at Yarra Valley Harvest. He had come across it while we were having lunch and thought we might like to pop in for a visit actually meet and chat with the winemaker from Kellybrook, Rob Hall, who was pouring his own private label Chardonnay and Pinot Noir. The Chardonnay was minerally and bright, while the Pinot Noir was a bit light for my taste, but food-friendly and definitely ready to drink now. 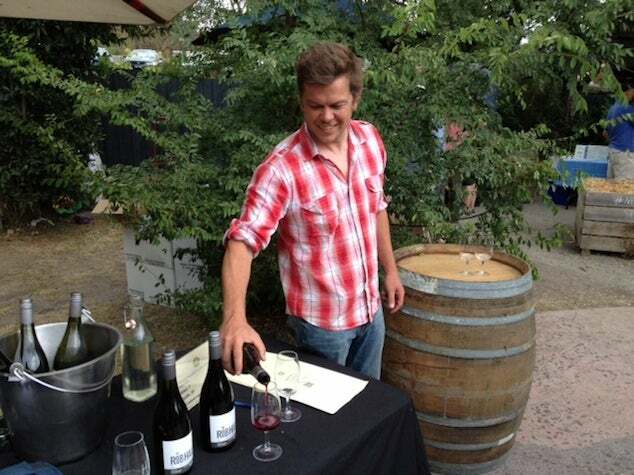 Rob Hall pouring us some of his private label wines. 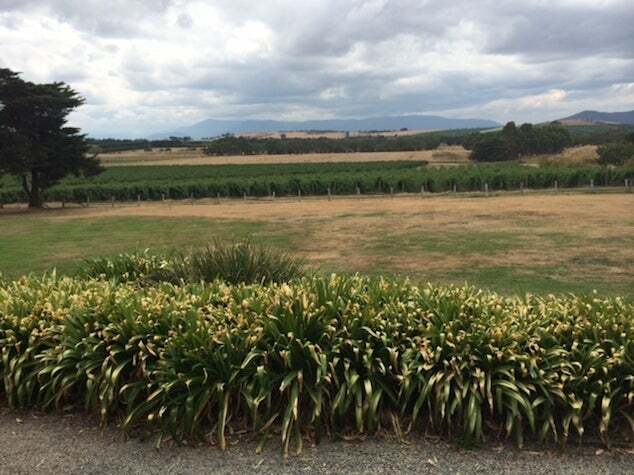 My jet lag was starting to kick in, so we decided to make one final stop at a winery on our way back on the edge of the Coldstream Hills area called Maddens Rise. 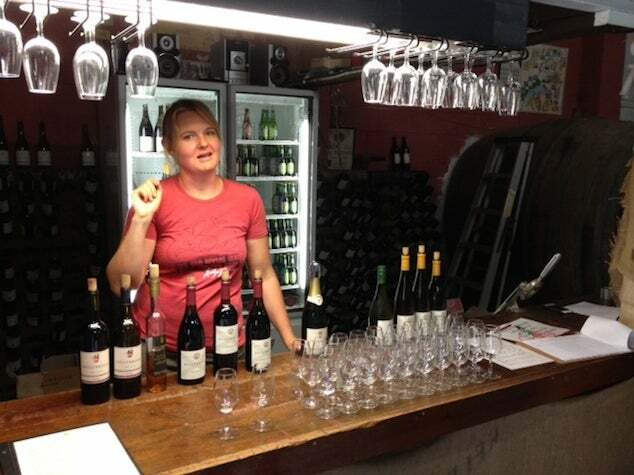 They had set up a concert and comedy show theater for the festival in the old sheep-shearing shed, which was cool, but we mostly just visited the little tasting room to sip through their lineup of wines. I liked the light but tasty Viognier, and the 2010 Reserve Pinot Noir, which was really interesting because it wasn’t fined or filtered, so there were some funky (in a good way) flavors and really deep, dark berry notes to it. The impromptu theater at Maddens Rise. After a brief walk around the property, it was time to head back to the city. We hit a bit of traffic thanks to a few festivals, but it only took an hour or so to get back and I was back at my hotel by about 4:30. Checking out the vineyards at Maddens Rise. All in all, it was a packed, but fun day. While the private tours are expensive, it was worth it not to have to worry about anything and to get last-minute access to places we wouldn’t have visited otherwise. And if you’re in a small group, it actually turns out to be economical and you get the added bonus of being able to visit specific wineries you have in mind and would like to visit while keeping away from the more crowded vineyards. Stay tuned for further trip reports including our Melbourne restaurant roundup, what we got up to on Hamilton Island on the Great Barrier Reef, and our final stop, Sydney.